Servicing Southern California for all your energy efficiency needs! Insulation is all about controlling heat flow. Insulation is installed in walls and ceilings to slow down the flow of heat between the interior and exterior of the house. “R-Value” is the term used to measure a material’s insulating value. The higher the “R”, the higher the resistance to heat, and therefore the better the insulation. Insulation is all about controlling heat flow. In order to understand how insulation works, you first have to understand how heat moves through your home. Heat travels in two major ways through the home: by conduction and by convection. Conduction refers to how heat moves through solid materials. You experience conduction when you hold a hot cup of coffee and the heat warms up your hand. You may even place a sleeve around the hot cup to keep the heat from burning your hand. This sleeve acts as an insulator to slow the movement of heat from the hot cup to your hand. Heat can travel both into and out of your home by means of conduction. In the summer, heat may hit the roof and then travel through building materials via conduction into the attic. In the winter, indoor heat will rise and then escape through roofing materials via conduction. Convection is the movement of heat through liquids and gases such as air. Forced air heating systems use convection to push warm air throughout a home. Even if you don’t have a forced air heating system, heat travels by convection due to stack effect — where hot air naturally rises and cooler air falls since hot air is less dense. Though stack effect is a natural phenomenon, it can significantly undermine home comfort if your house has air leaks and is under-insulated. Air leaks and insulation gaps in upper areas of the house allow hot air to rise and escape through the roof, while air leaks in lower areas of the home pull cold outdoor air in, resulting in drafts. If you want to prevent heat from entering and leaving your home and minimize the workload of your HVAC systems, it’s important to insulate the areas where heat flow occurs. Sealing air leaks eliminates holes and cracks which allow heat to travel by convection. Installing insulation, meanwhile, reduces heat’s ability to travel via conduction. The effectiveness of insulation is measured in R-value; the higher the R-value, the more effective the insulation is at reducing heat flow. Attic insulation is especially effective because it prevents indoor heat from rising into the attic during the winter and outdoor heat from entering the home via the roof during the summer. Other areas that should be insulated include the basement or crawlspace, exterior walls, and around any air ducts or hot water pipes located in unconditioned spaces. When done right, home insulation gives you dependable home comfort and lowers your utility bills all year long. Consult the pages linked to each type of insulation to be sure that you are making the choice that makes sense for your home and your health. 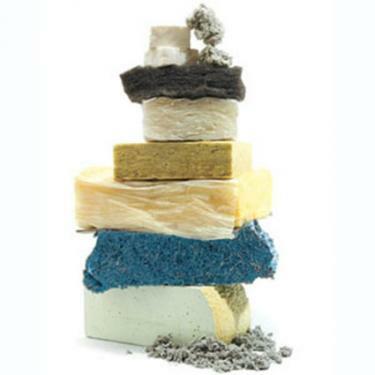 There are many types of insulation to choose from and Building Doctors can install them all. For more information, call (323) 646-2534 or email us today!